Our boutiques can be found in the highly exclusive shopping streets of Rome, Milan, Venice, Cortina and New York. At Eleuteri, we love to treat our customers not only as members of an exclusive club, but as friends too, devoting the utmost attention to detail and impeccable service. 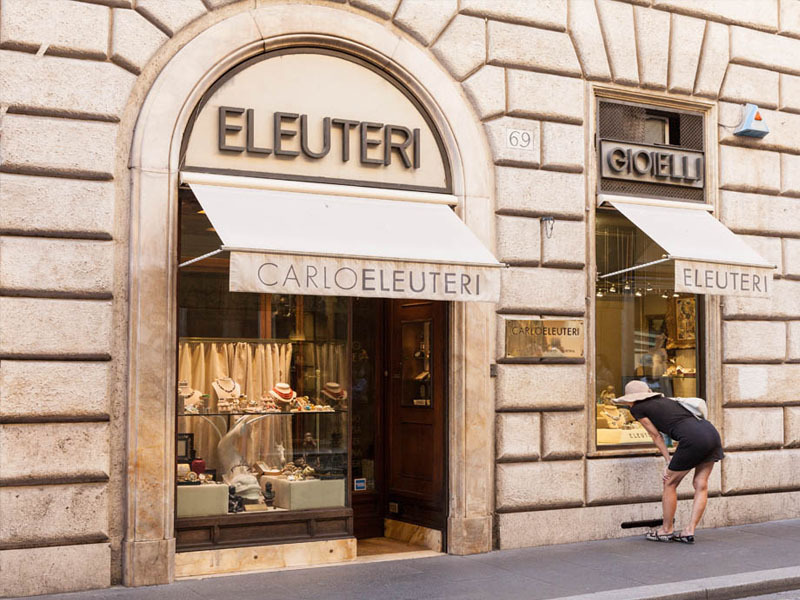 While we do not process refunds, any item purchased at Eleuteri is exchangeable at any of our international boutiques at any point in time, providing the client full credit on the amount paid. We accept most forms of payment as well as being open to installment plans. And no, we do not charge for domestic shipping – anywhere in the USA or EU. Last but not least, we are inclined to lend jewels to our Loyal Clients in the event that they find themselves unfurnished of their own personal treasures. As a Loyal Client, you may as well leave your jewels safe at home whilst traveling if you are planning to attend a Charity Ball in New York, a Biennale Opening/ Film Festival in Venice, a Prima at the Teatro Della Scala in Milan, a Gala Event in Rome, an elegant Apres Ski dinner in Cortina, or any of the dazzling sort. Could you possibly find another vintage jeweler with the same favorable, global and glamorous service? At Eleuteri we select our jewelry according to design, quality, and provenance. 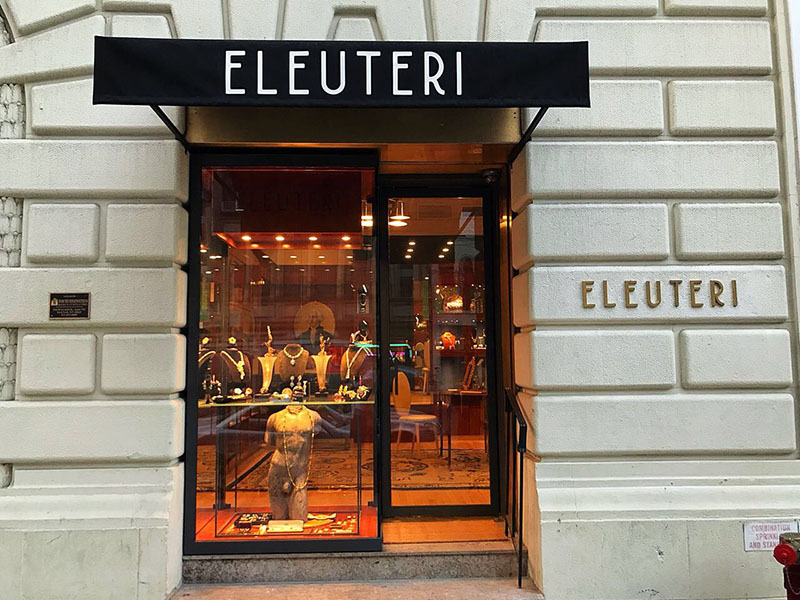 If you believe to possess an item that may match our criteria, please do not hesitate in contacting us to set up an appointment at info@eleuteri.nyc. Please bare in mind that the seller’s privacy is of highest concern to us, hence all transactions shall be kept confidential. For transparency matters in tutelage of the seller, it is recommended that the latter declare the desired compensation for his/her item (at least approximately). A member of the Eleuteri family will evaluate your proposal and hopefully your unworn treasure/s will be ready for a new life. Alternatively, we may discretely accept your item/collection on consignment, where they can be readily presented to our international clientele. Once a sale is completed, you will be notified and compensation will be immediate. We assume total responsibility for the care and custody of your jewelry.